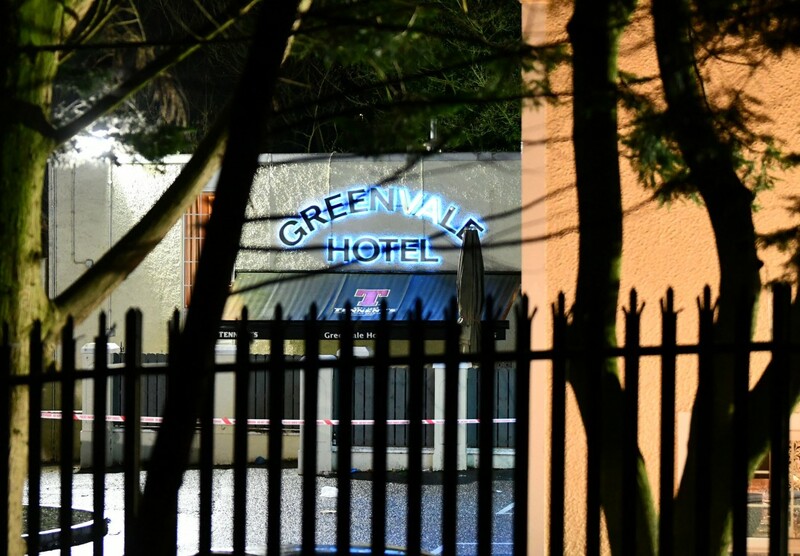 A SHOCKING account of the crush which developed outside the Greenvale Hotel in Cookstown last night has emerged from a teenage girl who was waiting to get into the St Patrick’s night disco. Three young people died in the tragedy which has shocked the local community. The deceased are understood to have been from the Dungannon area and are a 16 year-old boy, a 17 year-old boy and a 17 year-old girl. In a facebook post, Eimear Tallon, said that she and two of her friends had been standing in the queue when ‘pushing and shoving’ began. “The people on the outside of this line were so determined to get in they felt the need to not only push us against the wall, but push with all their strength. No matter how much we screamed and pushed back, there was no movement,” she wrote. “Two of my friends fell to the ground. I tried to pull them up but at that point there was no room for them to even come back up. So I started screaming at the top of my lungs. “My friends are on the ground, move back. My friends have fainted, move back.” Nothing, Not one bit of movement. “I could still see people laughing with no idea what was going on. At this point I thought by friends were going to die. I was standing up and I couldn’t imagine how they felt. I was hysterically screaming for people to move, but it was only the people around me who knew the seriousness. “With more and more pushing, I also fell. But the thing about me was that I wasn’t on the ground, I was on top of someone and this person was on top of someone else. As I looked down, I could see multiple bodies underneath me and as I looked up I could see multiple bodies on top of me. Ms Tallon went on to recount how she had closed her eyes and ‘accepted what was going to happen’ before being awoken by an elbow to her throat. “People were literally fighting for their lives,” she added.